At least that's what "The Walking Dead" producer Scott Gimple suggested during WonderCon (via comic book ). Apparently "Fear the Walking Dead" seems to be closer to the mother series. 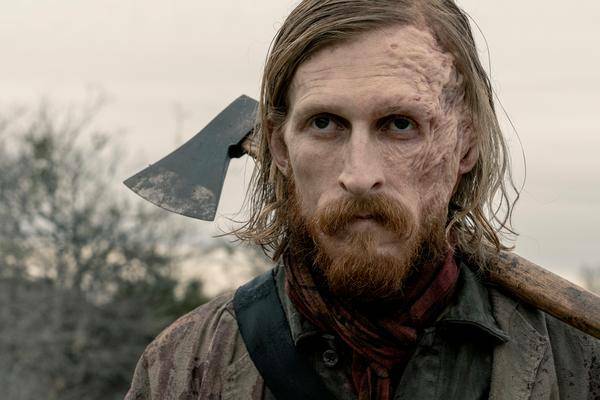 Another connection between "TWD" and "FTWD"
Asked if the survivors of "The Walking Dead" and the spin-off series will eventually have common enemies, Gimple replied, "This season [5 of 'Fear the Walking Dead'] – I would not calling it an enemy – but there will be this very interesting thing in common with Austin [Amelio] – this narrative thread continues [in 'FTWD'] which started in The Walking Dead. " What exactly he alludes to Scott Gimple but rather then did not want to betray. Is it about the group Rick and Anne picked up with a helicopter? "Fear the Walking Dead" is known to play before the mother series. Do we learn more about them? "And who knows where this leads us?" Gimple threw into the room. "And then, in our 30th or 40th year, we'll see many more crossovers," joked the "The Walking Dead" producer. If Scott Gimple does not reveal in advance what he's alluded to with his statement, we'll probably be smarter starting June 3rd. Then Season 5 of "Fear the Walking Dead" starts and is available on Amazon Prime Video every Monday.